After months of debate, the Defense Department approved Monday new restrictions for the use of cellphones and some other electronic devices in the Pentagon where classified information is present or discussed. But officials stopped far short of imposing an all-out ban. There will be random security inspections in classified areas and violators will be punished—including with the possible loss of their security clearance or access to the Pentagon. For years, rolling wooden containers with multiple slots for phones have been used around the building, including in the hall outside the Tank—the Joint Staff's conference room on the Pentagon's E Ring, where senior leaders routinely meet and hold secure video-conferences. Those are not likely to be used as much due to fire safety and other potential evacuation concerns. 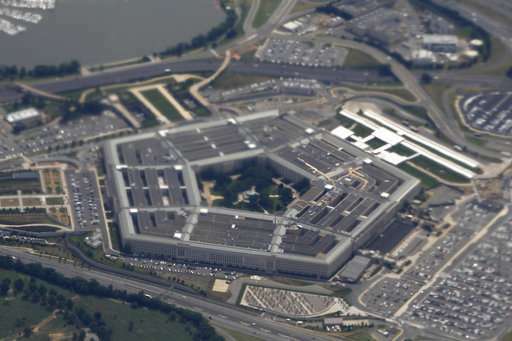 The size and complexity of the Pentagon workforce—which includes thousands of commuters, and a wide range of employees, including some who may occasionally work from home, contributed to the lengthy deliberations over the plan. The policy doesn't apply to any devices that have minimal storage and transmission capabilities such as key fobs used for medical alert, motor vehicles or home security systems.